Even the darkest night of Aamavasya become the brightest with Diwali festival, becomes the most auspicious day to worship Maa Laxmiji. The night is bright because of the Diyas everyone of us lighten in our homes and the joy is the highest because our hearts are enlightened to spread the love and Diwali wishes. 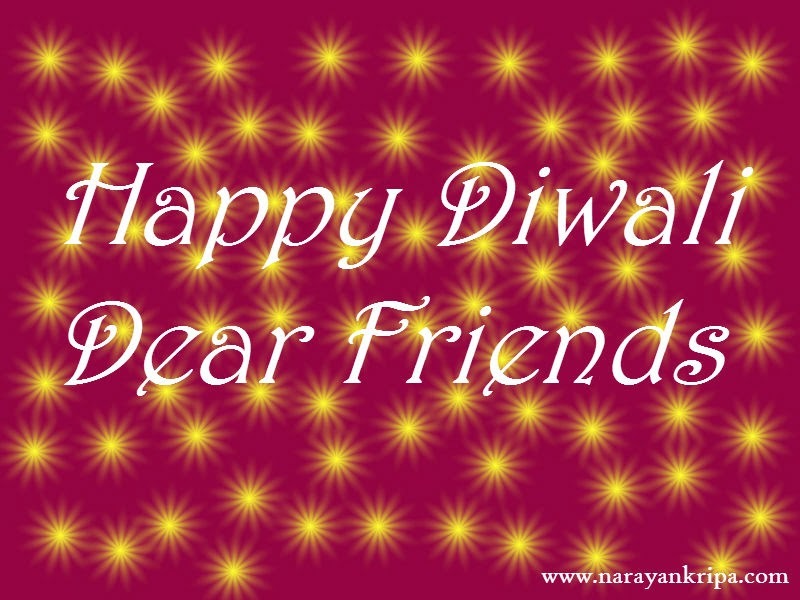 Wish you a very happy Diwali festival and a prosperous new year dear friends! I pray to Bhagwanji, may we all keep sharing these Diyas of Gyana and Love, forever!